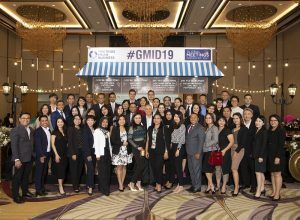 Jakarta-based meeting planners and 30 Marriott International hotels representatives mark Global Meetings Industry Day which was held at The Westin Jakarta on April 4. The B2B event was aimed to highlight the impact of the MICE (meetings, incentives, conferences and exhibitions) industry on people, businesses and communities. Puspa Rianti, director of sales and marketing of The Stones hotel in Bali, noted that Yogyakarta had become a very popular destination for the MICE industry. About 20 percent of their hotel business goes to the meeting industry. Lake Toba is one of the untapped potential destinations. Simple meeting rooms cannot boost the meeting experience. Different things need to be done for meetings segment. Business people usually come to Jakarta on Monday and leave on Thursday. Thus Indonesia as a destination needs to be promoted as well. Marriott is taking part in promoting Indonesia’s destinations.